Product prices and availability are accurate as of 2019-04-18 07:02:23 UTC and are subject to change. Any price and availability information displayed on http://www.amazon.com/ at the time of purchase will apply to the purchase of this product. 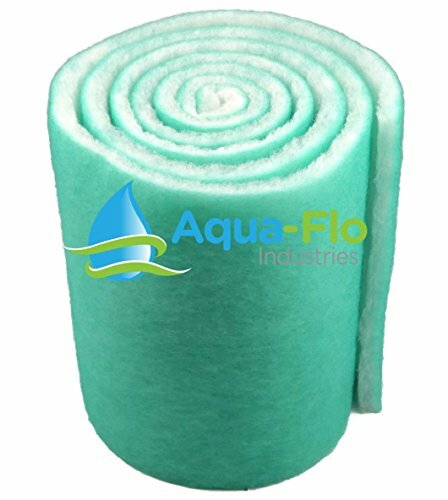 This dual sided filter media consists of two layers, with the white layer being more coarse for larger particles and the green layer which is finer to catch the smaller remaining particles.This material is slightly more rigid, and a higher quality than any of the three leading pink filters on the market.